If you think nervous brides and grooms are finicky photo subjects, have you ever tried photographing a temperamental baby? They cry. They scream. They squirm. It’s for these reasons that Eau Claire-based photographer Laci Eberle advises parents to keep their baby awake for two hours before a photo session. This way, the newborn will be sleeping sweetly – not wriggling angrily – when it’s time for the close-up. Another pro tip? Leave the baby in a diaper during the photo shoot. “They’re so unpredictable,” explains Eberle, without having to elaborate (at least for this parent). 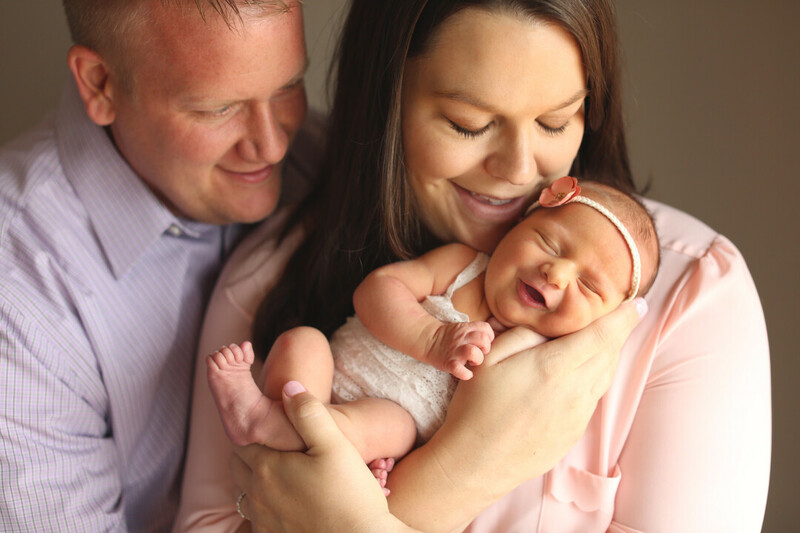 Despite such challenges, Eberle has made taking pictures of newborns and babies a successful part of her lifestyle photography business – successful enough that she won the Family Favorite Photographer category of the 2017 Family Favorites reader poll in Chippewa Valley Family magazine. 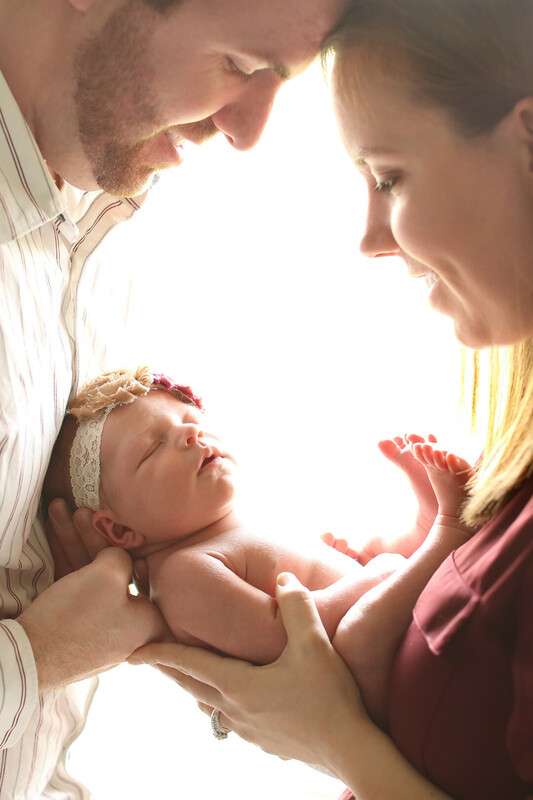 “There’s a certain amount of pressure I put on myself to capture a newborn and do it right. I like to see them within 10 to 12 days after birth,” Eberle explains. “If I don’t do it right, I can’t go back. You have to get all of those details right the first time, to capture the newness.” Parents may be sick of hearing (or saying) it, but the cliché that “they grow up so fast” is true, especially for newborns. A three-month-old is decidedly different from a three-day-old, and new parents should act fast if they want to preserve that angelic look for posterity. Eberle became a professional lifestyle photographer in a roundabout way. She shot her first wedding a dozen years ago as a favor for a friend. 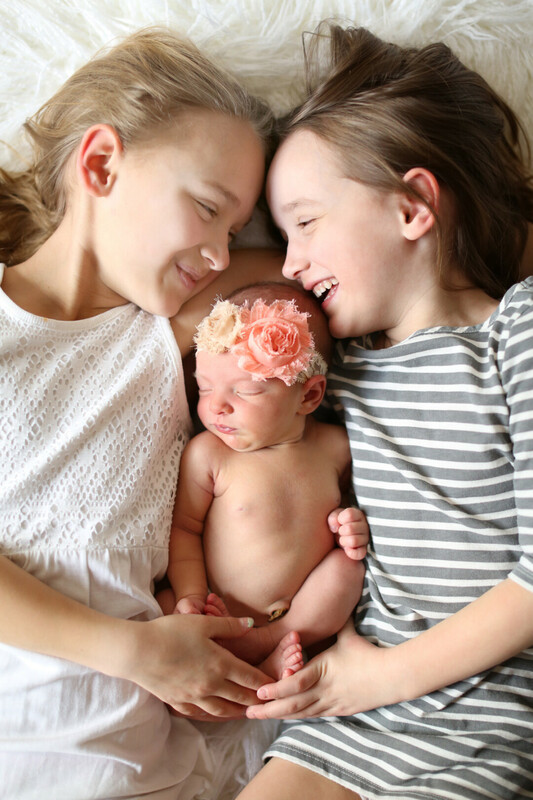 Soon after, she relocated from Madison to Eau Claire and gradually added other kinds of photography – including newborn portraiture – to her portfolio. She learned to use her camera in part by photographing her own children, 13-year-old Caden and 8-year-old Emma. A few years ago she made the leap from her job at a credit union to become a full-time photographer. Whether it’s capturing formal “wall-hangers” or cute candid moments, Eberle’s lens can record your little ones before they’re too big to curl peacefully in sunbeams on the kitchen floor. Learn more at lacieberlephotography.com of by searching for Laci Eberle Photography on Facebook.